On September 8th, Prof Katherine Yelick is delivering the HPC keynote lecture at the ACM Europe Conference. The title of her Lecture is “Breakthrough Science at the Exascale”. Abstract: In the next few years, exascale computing systems will become available to the scientific community. They will require new levels of parallelization, new models of memory and storage, and a variety of node architectures for processors and accelerators. They will also provide simulation capabilities with unprecedented scale and complexity across many fields of science, helping to answer fundamental science questions in cosmology, astrophysics, and nuclear science; understand and address issues in climate change, the environment and seismic safety; and aid in the design of advanced materials, manufacturing, energy systems, and pharmaceuticals. These systems may also offer exascale data analysis capabilities, allowing genomics, images, and sensor data to be processed, analyzed, and modeled using comparisons with simulations, deep learning algorithms or other machine learning methods. In this talk Prof Yelick will present some of the exciting science opportunities, the need for advanced in algorithms and mathematics to advance along with the system performance, and how the variety of workloads will stress the different aspects of exascale hardware and software systems. Katherine Yelick is a Professor of Electrical Engineering and Computer Sciences at the University of California at Berkeley and the Associate Laboratory Director for Computing Sciences at Lawrence Berkeley National Laboratory. Her research is in parallel programming languages, compilers, algorithms, and automatic performance tuning. Yelick was Director of the National Energy Research Scientific Computing Center (NERSC) from 2008 to 2012 and currently leads the Computing Sciences Area at Berkeley Lab, which includes NERSC, the Energy Sciences Network (ESnet) and the Computational Research Division (CRD). 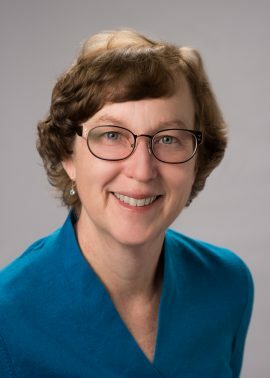 Yelick was recently elected to the National Academy of Engineering (NAE) and the American Associate of Arts and Sciences, and is an ACM Fellow and recipient of the ACM/IEEE Ken Kennedy and Athena awards.